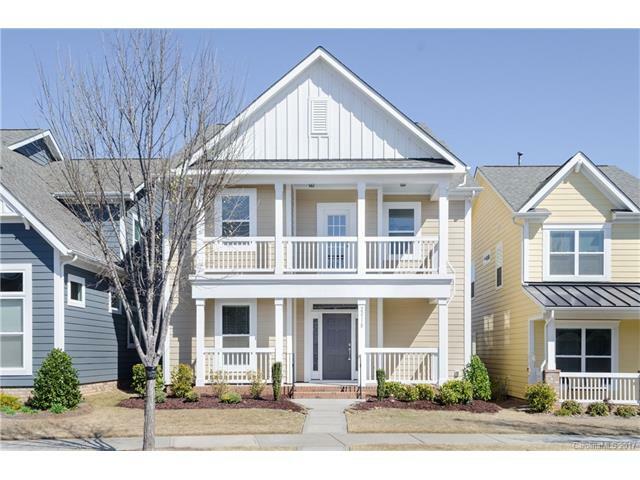 Birkdale is a wonderful place to live and has all of the amenities you could ever imagine. Birkdale is located conveniently right of I-77 making it a quick trip to Charlotte or North to Statesville and Greensboro. So no matter where your work takes you, living in the Birkdale area will be convenient for you. Houses in this beautiful community range from the $250k upwards into the $750k range. With a small water park for the kids and beautiful clubhouse, many community wide gatherings are held all throughout the year. There are tennis courts, a beautiful pool and the 18-hole Arnold Palmer designed Championship golf course has been voted the “Best New Golf Course in North Carolina”, one of the “Top Five Public Courses in the State” and Charlotte’s “Best Public Course”. Located on 200 acres of rolling terrain, carved between tall pines and natural streams, Birkdale is a challenging 7,013 yard, par 72 course made up of Bermuda fairways and Crenshaw Bent grass greens, offering a true test of golf skills. Birkdale Village is just across the road and host a vast array of great shopping and yummy restaurants. There is a movie theatre, pharmacy, valet parking and easy parking for convenience and safety. Shouldn’t you call Nadine and let her show you how wonderful living in Birkdale is? 704-361-9183.